Tom Volini serves as Executive Vice President with Colliers | Chicago’s Occupier Advisors Group. Tom joined Colliers International in 2011 and is responsible for growing the company’s tenant representation platform in the Chicago region, while servicing and expanding the strategic national accounts practice group. Tom has been exclusively representing office tenants in lease negotiations for over 24 years, having completed assignments totaling over 20 million square feet with financial consideration in excess of $6 billion.He is a skilled strategist providing in-depth analysis, negotiating expertise, and creative real estate solutions to his clients. When advising clients, Tom draws upon a broad range of real estate consulting experience along with his significant corporate board responsibilities and his active investment partnership expertise. In addition to Tom’s long-standing career in commercial real estate, he has a broad range of business experience. He is the Managing Partner of Maplewood LLC and founder of Baden Capital. He also served as Vice Chairman of Cevaal Insurance. Prior to Cevaal, he was the Senior Equity Investor with The Winbury Group until the partnership sold to Colliers at the end of 2010. Tom has served on several board of directors including Midwestern Electric, Kansas State Bank, Lyon County State Bank and “REIA”, the Real Estate Investment Association. Tom is a member of The Economic Club of Chicago The City Club of Chicago and The Chicago Club. In 2011 and 2013, NAIOP nominated Tom as a finalist for tenant office lease transaction of the year for completing three of the largest office lease tenant representation transactions in Chicago. Tom has also been recognized among the top performers at Colliers, achieving Everest Club status each year. Prior to Colliers, Tom spent 10 years as an Executive Vice President with the office tenant representation services group of Grubb & Ellis. He was selected as a member of the “Circle of Excellence” from 2003-2010, ranking him consistently as one of the “Top 20” producing brokers nationally for the firm. Working closely with industry veterans Sven Sykes and Tom Volini, executive vice presidents in Colliers International’s Office Advisory Group, I lead proposal responses, presentations, client property tours, marketing and assist the team with other client matters. Prior to joining Colliers International, I spent eight years with Grubb & Ellis, where I worked closely with the tenant representation services team. I also worked for Grubb & Ellis' New York office as an operations coordinator, where I focused on national college recruiting. Before Grubb & Ellis, I worked as a leasing agent for Trizec Properties in New York. I was responsible for marketing and leasing a 7.5 million-square-foot office portfolio. 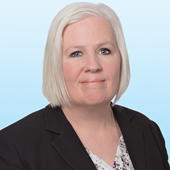 I am a client services coordinator with Colliers International | Chicago's Downtown Office Advisory group, working with the team led by Tony Karmin, principal. I also support Corby Marx, senior vice president; Michael Marrion, vice president; John Iglar, senior associate; and Joseph Stevens, associate. My background includes 20 years of broad range real estate industry experience. I began my real estate career with then, LaSalle Partners, now JLL, working within Tenant Representation, then transitioning to Industrial Property Management with Cushman & Wakefield. Back at JLL, within their Capital Markets division, I marketed multiple US locations for a Top 10 Worldwide client. Next, I joined Grubb and Ellis, and worked on Industrial brokerage until their closure. Most recently, prior to joining Colliers | Chicago, I again worked at JLL within Public Relations on the administrative side of the marketing team for a team of 10.